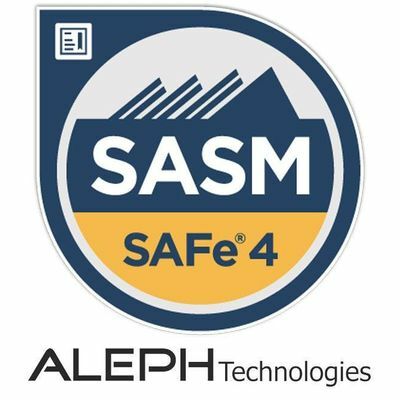 - Exam Name: SAFe® 4 Advanced Scrum Master Exam - Exam Format: Multiple Choice; Multiple Select - Exam Delivery: Web-based (single-browser), closed book, no outside assistance, timed - Exam Access: Candidates can access the exam within the SAFe Community Platform upon completion of the SAFe 4 Advanced Scrum Master course - Exam cost: First exam attempt is included as part of the course registration fee if the exam is taken within 30 days of course completion. Each retake attempt costs $50. - Exam Duration: Once the exam begins candidates have 120 minutes to complete the exam - Number of Questions: 60 - Passing Score: 42 out of 60 (70%) - Language: English - Retake policy: Second attempt on exam (first retake) can be done immediately after first attempt. Third attempt requires a 10-day wait. Fourth attempt requires a 30-day wait. Contact c3VwcG9ydCB8IHNjYWxlZGFnaWxlICEgY29t for any retake questions. - 11 or more business days prior to class, 100% refund of tuition. - 1-10 business days prior to class, no refund, but may reschedule another class within one year of date of cancelled class. - First day of class, no refund of tuition, retake policy may apply.